Wonder has been on my reading radar for well over a year and I was given a copy for Christmas. The book focuses on a young boy called August who, after years of home-schooling, is going to start mainstream school but you see August has a facial deformity that has prevented him being mainstream schooled so he has spent his life being schooled at home but that all changes. I loved getting to see August readjust to this huge change in his life. He had been quite cocooned before and now the world was opening up to a degree he has never been exposed to before. I really did love August, there is nothing bad about the boy and he is a lovely person and so innocent. His innocence makes him even more special. There's a character in this book who I adored: Summer. She takes August under her wing and she's past his deformity to learn who he is as a person. She was my favourite character and I loved her. She didn't befriend August out of pity or because she was asked to, she did it because she wanted to. She didn't just see his face, she saw the person underneath. When I first started reading the book, I didn't realise it would switch to different characters POVs but I'm so glad it did. I especially loved reading Viv's (August's sister's) chapters because we really get to see how having August as a brother has affected her life. You can tell she loves him deeply but dealing with something like this as a teenager is incredibly difficult and Viv's chapters displayed that perfectly. At one point I wasn't sure if I would enjoy her chapters but I really did. There was one character who we heard from that I didn't enjoy and that was Justin, Viv's boyfriend, I didn't fell like he added anything at all to the story and I didn't like the way they were written unless I'm missing something? Going in I had heard a lot of good about this book and I was really looking forward to reading it. 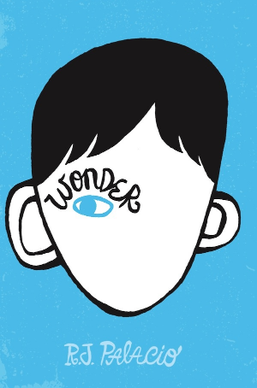 Wonder is a great book, with an amazing premise and beautifully developed characters but for me, it didn't live up to all the hype and praise. Although, I do think it is a book that needs to be read by children because it really gives them an insight into the devasting effect even a small comment can have on someone who doesn't fit the norm.